Get to know our fearless leader! 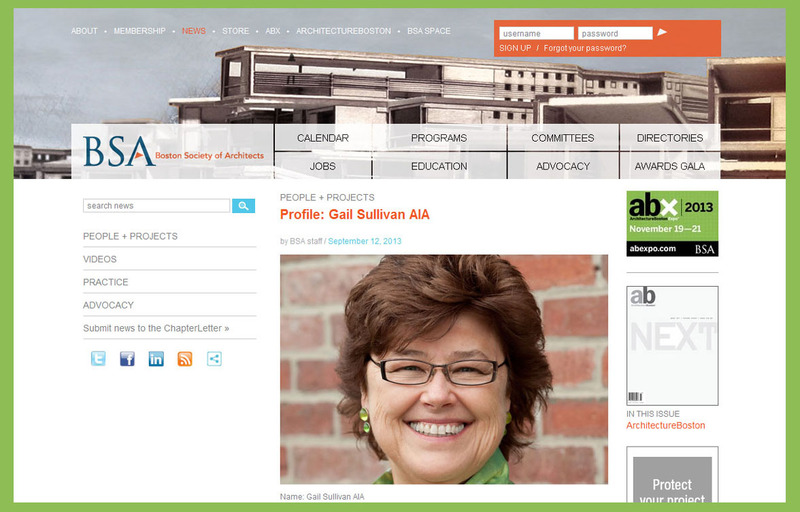 Check out the Boston Society of Architects’ recent profile on our very own Gail Sullivan, Founder and Managing Principal of Studio G Architects. Learn about the firm’s recent work, Gail’s sources of daily inspiration and her visions for the future of design.